RZE Cable Ladder System for shipbuilding. 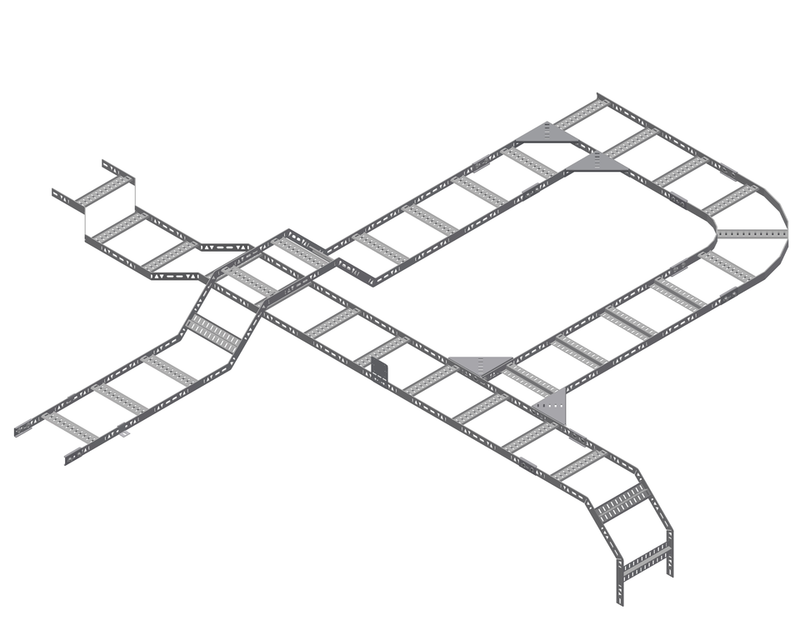 We offer two distinctive types of cable ladders specially designed for ships; the RZE-R and the RZE-P Cable Ladder System. RZE-R is a cable ladder with a smart design which reduces the need for fittings to change direction of the cable run. RZE-P is the preferred system for heavy loads. Both systems are complemented by a comprehensive range of accessories, and have designs allowing for the direct installation of our ETIN™ tubing clamps. The Z profile of the rungs allow for easy access for cable ties. The design also allows for equipment to be installed above as well as below the rungs. 100, 200, 300, 350, 400, 450, 500, 600, 650*, 750* and 900*. *Only available for RZE-P. 2 x 450 are recommended for 900 mm widths. The RZE-R side rails feature a hole pattern, which allows the ladder to be partially cut, then bent to create vertical risers. The cuts can then be welded in place if necessary. Place the ladder upright on a pallet, then line up the hole to the edge of the pallet. Simply step and press down on the side rail to adjust sideways. This technique is useful for avoiding obstacles like pipes. See video further down. In order to provide flexibility in installation and future extension or adaptation, we strongly suggest using our recommended installation method; MultiGrid® for Ships. MultiGrid® for ships can be included in two distinct ways. 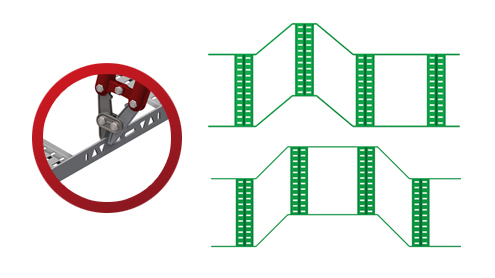 The first way, a matrix is formed by welding lengths of perforated channel either in line with, or parallel to stringers. These form starting points for vertical supports at any point to directly support cable ladders, light piping or equipment. Alternatively, welded starter brackets can be installed in a grid pattern which can then either be used for direct support, or they can be connected by traverse channels allowing full flexibility where support is required. This flexibility allows for change and collision avoidance throughout the installation and service life of the installation. 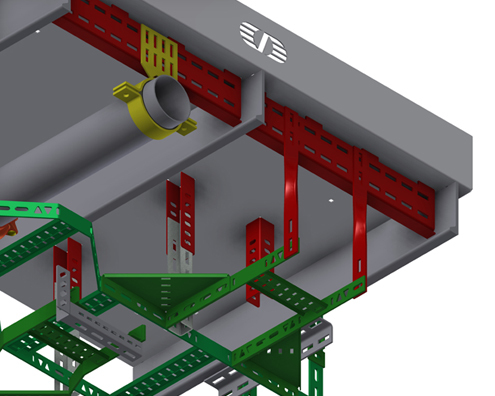 Both systems of welded channels or starter brackets are installed at the construction phase and are then cleaned and painted with the rest of the ship sections. 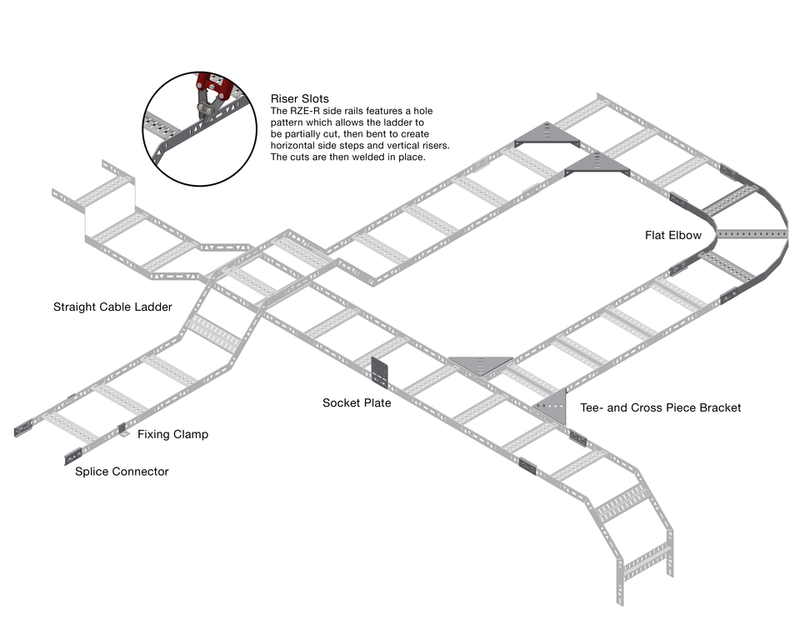 Cable ladders in hot dip galvanised finish can then be installed and cable installation can begin immediately. In this short tutorial we will show you how you can easily change direction of an RZE-R cable ladder, without using extra parts such as bends.